Heat the oil in a frying pan, add the thyme, fry the onion over a medium heat. Add the garlic and mushrooms, and continue to fry, stirring constantly. Reduce the heat, add the balsamic vinegar, season. Mix the tofu with the spices, soy sauce and oregano. Fry the onions in the olive oil, add the seasoned tofu, fry for a few minutes. 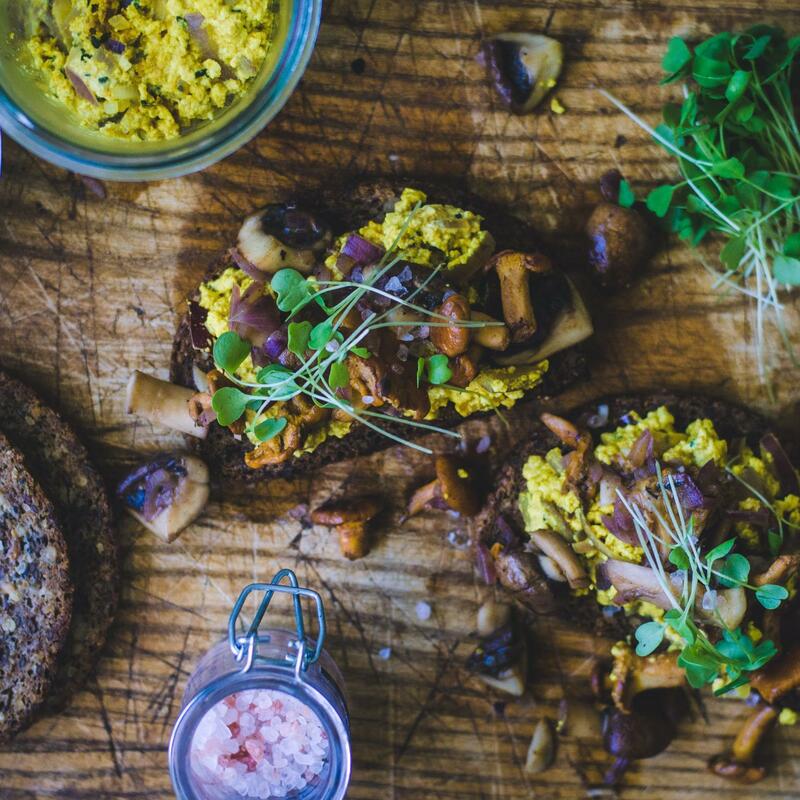 Place the bread on a plate, the scrambled tofu and mushrooms on top, and garnish with microgreens.